Bernafon Hearing Aids At Hearing Choices - Save up to 40% On All Models! Bernafon is a Swiss hearing aid manufacturer that was founded in 1946 by Hans Gfeller in Switzerland. From this humble beginning, Bernafon today is one of the leading and largest manufacturers in hearing aids, with their products being sold in 70 countries worldwide. Bernafon hearing aids are known for their great technology, natural sound quality, and discreet designs all while being affordable. Utilising their Swiss Engineering and advanced technology, Bernafon fulfils their vision to reduce the social ramification that a hearing loss can have not only on those who have a hearing loss but everyone in society that may be affected. Aside from hearing aids, Bernafon also has a wide range of accessories that can be used to improve your hearing aid experience such as apps, streamers, microphones, and remote controls. 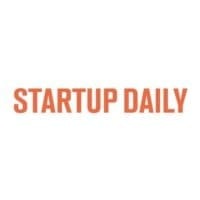 The company was acquired by William Demant Holding in 1995, which also owns the well known hearing aid brands such as Oticon, Sonic and also Senheiser which are now sister companies to Bernafon. Bernafon Carista: Bernafon’s mid-range device that is only available in basic and standard technology levels. The aim of this hearing aid range is to provide Bernafon’s advanced technology for an affordable price. It is available in four BTE and six custom styles. Features include wireless connectivity and enhanced speech intelligibility. Aside from also including Bernafon’s Audio Efficiency™ and ChannelFree™ technology, the Bernafon Carista also provides comfort in noise using Adaptive Noise Reduction Plus and Transient Noise Reduction which will immediately detect and supress loud noises. It additionally includes Adaptive Feedback Canceller Plus and Binaural Adjustments, to reduce feedback and simultaneously apply adjustments to both devices respectively. It is compatible with the Bernafon RC-P remote control. It is said to be comfortable, fits perfectly, naturally sounding, and easy to use. Bernafon Juna: Bernafon’s high-end device that is only available in advanced and premium technology levels. This hearing aid ensures that the user receives advanced sound localisations, speech intelligibility, natural sound quality, and automatic performance. It is available in nine custom styles and four BTE’s, meaning that you can find a device to suit your preferences. Whether you want an invisible one, or a stylish yet sleek visible one, there is a hearing aid for you. This device comes with Audio Efficiency™ technology that automatically adjusts the output of your hearing aid in accordance with your listening environment. The Bernafon Juna also includes ChannelFree™ technology that analyses speech 20,000 times per second in order to provide clear and natural sound. This device functions optimally in reverberant environments as it reduces the reverberation and makes it more comfortable. The Bernafon Juna is compatible with the Bernafon RC-N remote control. It is said to be comfortable to wear, good for listening to live music, great for soft speech, and provides comfortable amplification. Bernafon Zerena: Bernafon’s newest hearing aid, the Zerena uses Bernafon’s Dynamic Environment Control System™ which functions through the continuous analysis of the listening environment, which results in a seamless response to even the most diverse and fluctuating environments. Other features of this hearing aid include powerful wireless connectivity for direct-to-hearing-aid and ear-to-ear technology, and Dynamic Range Extender. 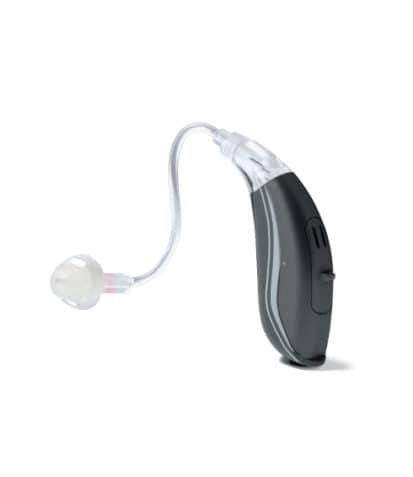 This hearing aid is available in miniRITE, miniRITE T, and BTE 105. It is compatible with the RC-A remote control. Manual dexterity is a large non-audiological factor that can affect the success of your hearing aid use. This is because if you cannot manipulate your hearing aid, you are either less likely to use it or not receiving any benefits when you do. 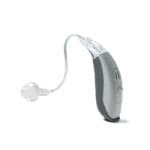 Therefore, this type of Bernafon hearing aid accessory is perfect for those with manual dexterity issues, or for users who just do not like using the small control on the hearing aid. The Bernafon Hearing Aid remote control allows you to make adjustments to the volume and program settings of your Bernafon hearing aid. The remote is discreetly designed with easy-to-use controls and visible buttons. In addition, the remote is lightweight, making it easy to carry anywhere. The RC-N and RC-A remotes have a simple design with three buttons on the surface; one for turning the volume up, down, and one for changing programs. There is a finger grip on the opposite side of the remote to ensure that you are able to hold the remote. Finally, there are strap holes available on the bottom, so you can carry this remote anywhere. The RC-P looks slightly different and has the buttons on the side of the remote; one for program cycle, volume control, and a mute button. It also has a lock switch and a lanyard ring. In order to function, the remotes must be used with Bernafon hearing aids that offer wireless connectivity and within a distance of 1 metre. The Costco Hearing Aid Centre works similarly to other audiologists in that they conduct hearing tests in a sound proof booth, and provide hearing aids at a discounted price. Undeniably, the biggest benefit of buying your hearing aids from Costco is the price. Another benefit is that everything can be done in one appointment from the hearing test to the hearing aid fitting, making it a cost-effective and time-efficient option for everyone. Furthermore, there is a 180-day money back guarantee, meaning that you really get to trial your hearing aids in all situations. However, the hearing aids sold at Costco have older technology than the hearing aids currently being sold on the market. Furthermore, if you have any issues with your hearing aid, you cannot get it adjusted by any other hearing centre, which can be inconvenient as Costco has few locations and their waiting lists for appointments are long. Furthermore, the care provided by Costco is not personalised. Unlike Costco, Hearing Choices provides the newest devices for a slightly more expensive price. This price includes the care from a local audiologist who will give you unbiased and quality care. As each range of Bernafon hearing aids come in a variety of styles, the batteries you will need will depend on the style you decide on. 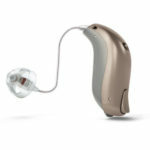 At Hearing Choices, you will be able to find your desired hearing aids and its batteries at a cheap price. The most popular sizes of hearing aid batteries are 10, 312, and 13. Battery prices at Hearing Choices can be found under $10, with the majority ranging between $6-8 for a packet that comes with 6 batteries. For a 12-month supply, you can expect to pay $120-150. Although battery life depends on the type of battery and how you use the hearing aid, you can generally receive somewhere between 3-10 days. Hearing Choices sells Bernafon hearing aids at Australia’s most competitive prices. We back up all our sales with an extensive pre sales consultation with an Hearing Choices consultant as well as a thorough hearing test and examination from our local partner Audiologist. Bernafon hearing aids come in a variety of styles and options and we’ll work with you to get the perfect device that fits your budget.